If you're after a casual yet chic ensemble, team a Liska fur panel coat with blue ripped skinny jeans. Both garments are totally comfy and will look fabulous together. 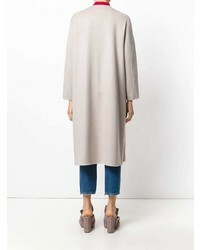 For a casually elegant look, wear a Liska fur panel coat from farfetch.com with grey skinny jeans — these two pieces fit well together. For a smart casual look, pair a Liska fur panel coat with white skinny jeans — these two pieces the office really savvy together. When it comes to shoes, this getup pairs nicely with pink suede lace-up ankle boots. 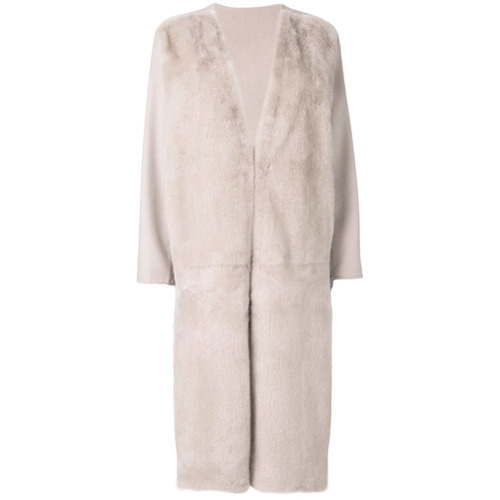 For a smart casual getup, consider wearing a pink fur coat and a white bodycon dress — these two items fit beautifully together. When it comes to shoes, this getup is complemented perfectly with white leather heeled sandals. 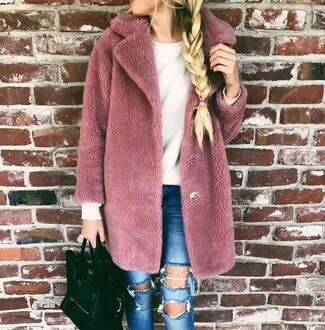 If you're on the hunt for a casual yet stylish look, consider teaming a Liska fur panel coat with navy ripped skinny jeans. Both pieces are totally comfy and will look fabulous paired together. A pair of black leather platform loafers will add some real flair to this getup. Wear a Liska fur panel coat with grey dress pants to look truly gorgeous. When it comes to shoes, this outfit is round off nicely with white leather ankle boots. Dress in a Liska fur panel coat from farfetch.com and a pink leather pencil skirt to look truly gorgeous. Reach for a Liska fur panel coat and a pink leather pencil skirt and you'll be the picture of elegance. If you're after a casual yet totally stylish look, try pairing a Liska fur panel coat from farfetch.com with black chinos. Both items are totally comfy and will look fabulous paired together. You could perhaps get a little creative in the footwear department and lift up your outfit with black leather ankle boots.